In Stock. Sold by Enviromedica and Fulfilled by Amazon. Gift-wrap available. In Stock. Sold by Enviromedica and Fulfilled by Amazon. 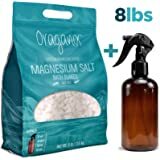 Amazon's Choice for "magnesium flakes"
ORGANIC MAGNESIUM BATH FLAKE PURIFICATION: Magnesium Flakes offer a highly effective, yet muscle calming, means of absorbing magnesium nutrients. Choose between the unmatched benefit of an immersive bathtub full body bath wash, or quicker convenient foot tub bath soak. Research has proven topical magnesium chloride to be a more effective administration method when matched with leading oral supplements. 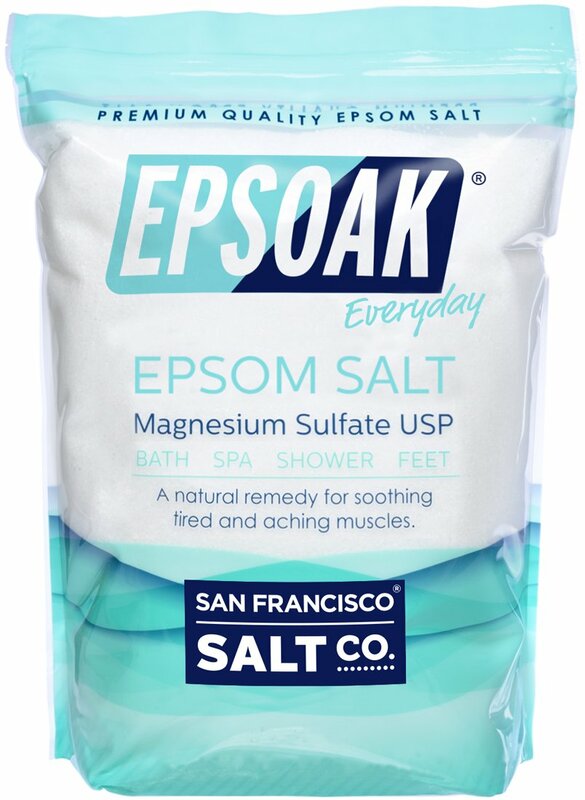 MAGNESIUM CHLORIDE FLAKES VS EPSOM SALT: Bath flakes are made from magnesium chloride. 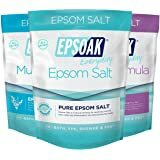 Epsom salts are magnesium sulfate. Although both forms absorb magnesium better than oral magnesium supplements, magnesium chloride is much better suited for topical application. 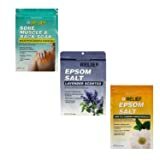 Flake Baths are great for stress relief, sore muscle recovery, improving circulation, headaches, joint pain, restless leg syndrome, cramps, and is a more sensitive application than other transdermal techniques. 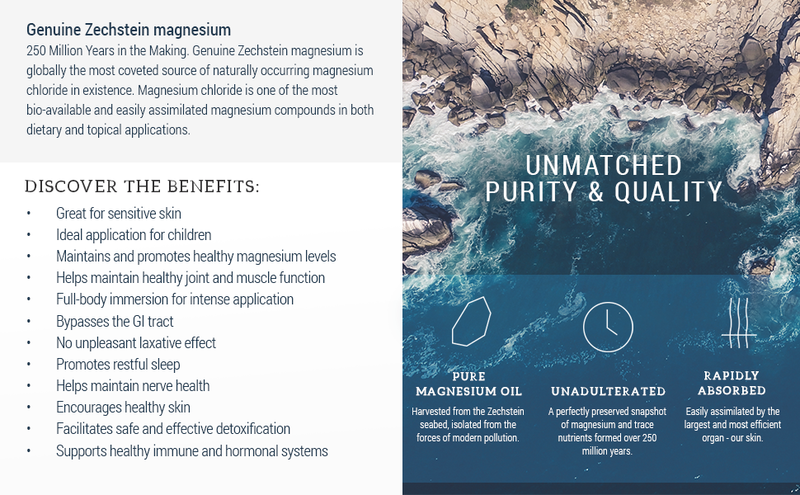 ONLY THE PUREST & HIGHEST CONCENTRATED MAGNESIUM SOURCES: Genuine Zechstein magnesium chloride is sourced 1500 meters underground in the Zechstein Seabed, 250 Million Years in the Making, this seabed is the purest magnesium source in the world. 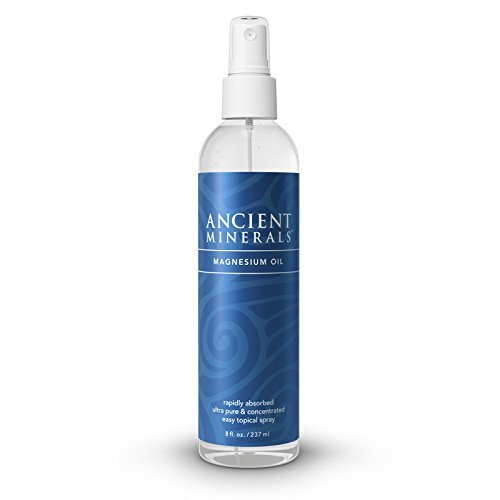 All Ancient Minerals products are organic, produced from the best raw materials, and formulated in the United States at FDA certified facilities. 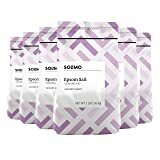 MAGNESIUM BATH APPLICATION INSTRUCTIONS: With water, dissolve 1-3 cups of dry flakes into a warm footbath massage spa or full tub and liquid soak for 30min or longer. You may dissolve up to 8lbs of flakes in a full tub for a more intense application. Temperature of the water should be warm, but not hot for optimal absorption of magnesium chloride. Hot water can cause the skin to eliminate mag chloride and other trace minerals rather than absorbing through the skin, hands, feet, and body. 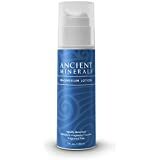 #1 TRUSTED NAME IN CONCENTRATED TOPICAL MAGNESIUM PRODUCTS: Since 2007 Ancient Minerals by Enviromedica, has produced the highest quality topical flakes, essential oil, goodnight lotion, miracle cream, and aloe vera gel magnesium. With the best research and more doctors and PHD recommendations than any brand, make sure that you are using only the best source for Ultra Pure Topical Magnesium. Bath Flakes are a great holiday gift idea for kids, women, mom, grandma, or any family member. 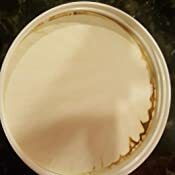 Sold by Enviromedica and ships from Amazon Fulfillment. Sold by San Francisco Salt Company and ships from Amazon Fulfillment. For those who want to avoid the hassle of taking pills and the difficulties inherent with poorly tolerated supplements, this is a convenient form of magnesium—absorbed by the skin! WHY TOPICAL? Skin is THE MOST EFFICIENT ORGAN FOR DETOXIFICATION and holds tremendous potential for re-mineralizing the body. There are hundreds of peer-reviewed medical studies examining the efficacy of magnesium in a wide range of health enhancing applications, yet not much attention is directed at the method of delivery. 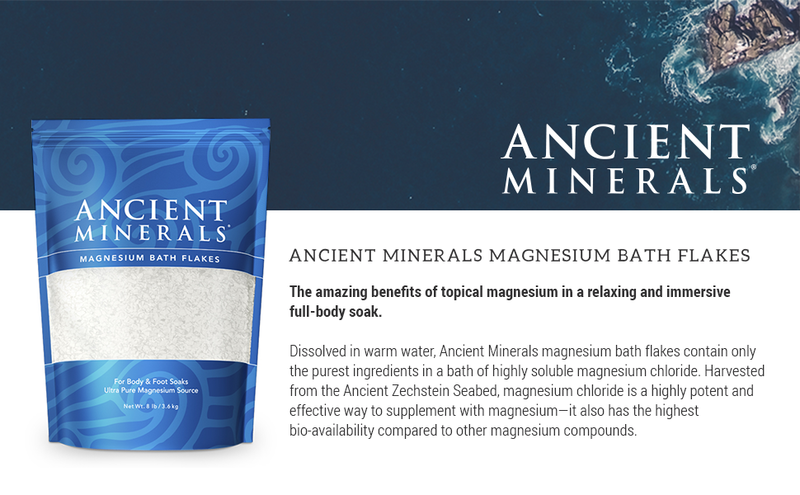 Ancient Minerals magnesium bath flakes are designed for convenient, optimal absorption of magnesium topically. BYPASSES THE GI TRACT. NO UNPLEASANT LAXATIVE EFFECT. UNMATCHED QUALITY: Each batch is produced under stringent GMP, ISO 9001, and ISO 14001 quality control standards, and is analyzed for a wide array of heavy metals and minerals for verification of purity. A certificate of analysis of every lot is available upon request. Dissolve 1-3 cups of the magnesium flakes into a warm footbath or full tub bath, and soak for 30 minutes or longer. Dissolve up to 8lbs of magnesium flakes in a full tub bath for intense applications. Temperature of the water should be 101-103 °F (39 °C). Soak for 30 minutes or more. Following bath, rinse with warm water and pat dry. 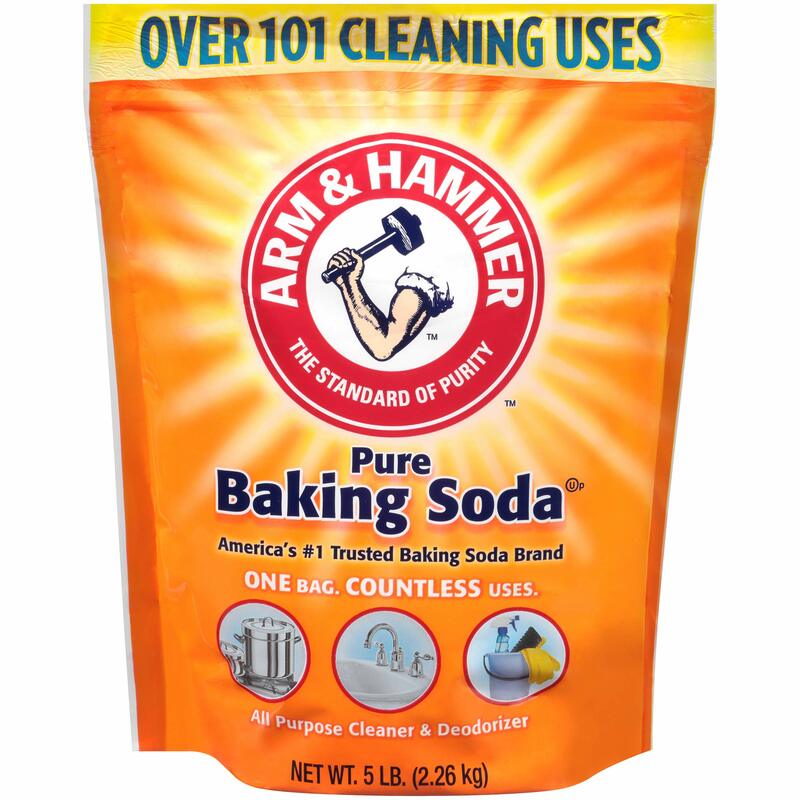 For foot soaks, dissolve up to 3 cups. For body soaks, dissolve up to 6 cups. Great for kids and sensitive users. INGREDIENTS: Genuine Zechstein magnesium chloride flakes. Magnesium deficiency in humans can range from mild to severe, and studies suggest it is becoming increasingly more common every year as the American diet becomes less nutrient rich. Reports published by the World Health Organization (WHO) have estimated that three out of four Americans do not meet the Recommended Daily Intake (RDI) of magnesium. Ancient Minerals produces products that are designed to combat the growing trend of magnesium deficiency with Pure Topical Magnesium products. The products and the claims made about specific products on or through this site have not been evaluated by Good Health Naturally or the United States Food and Drug Administration and are not approved to diagnose, treat, cure or prevent disease. The information provided on this site is for informational purposes only and is not intended as a substitute for advice from your physician or other health care professional or any information contained on or in any product label or packaging. You should not use the information on this site for diagnosis or treatment of any health problem or for prescription of any medication or other treatment. You should consult with a healthcare professional before starting any diet, exercise or supplementation program, before taking any medication, or if you have or suspect you might have a health problem. Dissolve 1-3 cups of the magnesium flakes into a warm footbath or full tub bath, and soak for 30 minutes or longer. Dissolve up to 8lbs of magnesium flakes in a full tub bath for intense applications. Temperature of the water should be warm, but not hot, we recommend 101-103°F (39°C). 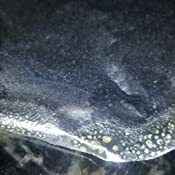 Hot water causes the skin to eliminate rather than absorb. Following bath, rinse with warm water and pat dry. If you haven't tried magnesium flakes in a bath yet, you will be AMAZED by the muscle-relaxing, pain-relieving power of this stuff. 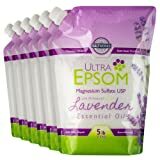 I have chronic severe muscle spasms, and a magnesium bath before bed makes the difference between tossing and turning all night in pain and a night of restful, relaxed sleep. 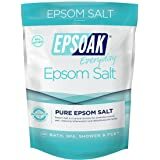 The directions on the bag are for a very concentrated magnesium bath, but for daily use I just add about a cup of the flakes to a regular bathtub. I usually soak as long as possible, but even fifteen minutes does amazing things. 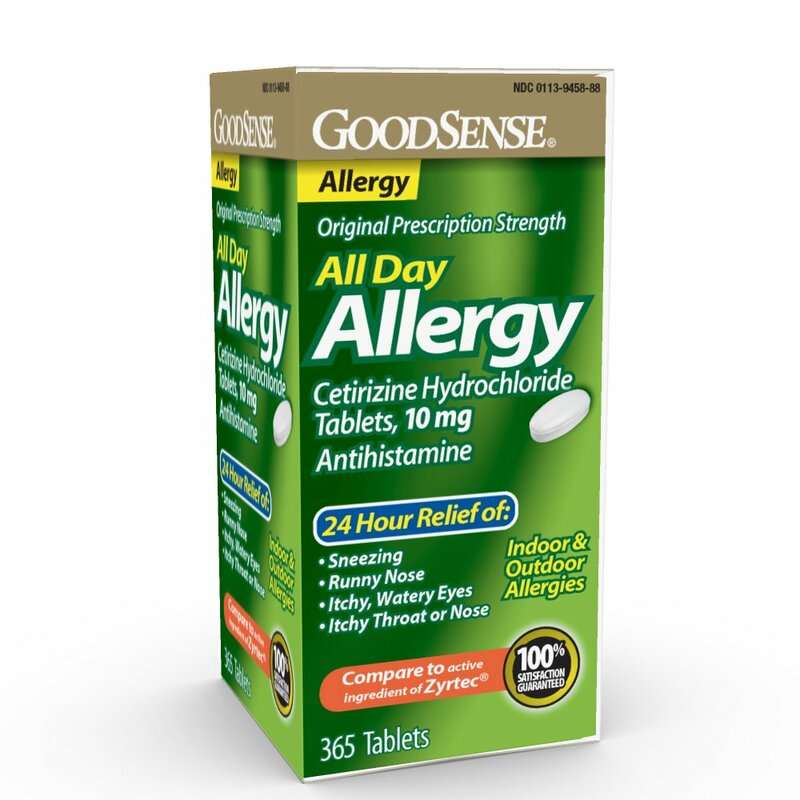 I have recommended these to family and friends and EVERYBODY who has tried it sings the praises of this product. My kids even beg me for "magic bath flakes" when they're sore and achy. This is a staple in my house now. I never want to go without it. 5.0 out of 5 starsThis is the brand that rocks your socks off! 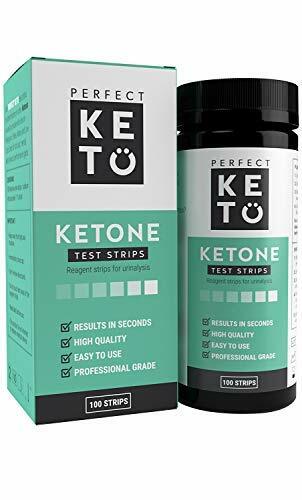 I seriously recommend this product to anyone and everyone that will listen! It works so well with so many ailments. Cramping? Take a magnesium bath. Trouble sleeping? Take a magnesium bath. Kids got night terrors? Take a magnesium bath before bed. Trouble absorbing your vitamins? Take a magnesium bath. Seriously, such an amazing product. If you don’t have a bath tub, you can always just soak your feet in some magnesium water or melt some down and add it to your favorite lotion. It’s such a diverse product, and THIS is the brand to get! The next morning I saw her and noticed she was walking upright and not leaning! I asked her how was her night and she told me it was the first time in a very long time that she was able to sleep thru the night without a lot of pain! She still has some discomforts but not nearly as bad as before. A word of advice: Don't over do it because you feel good! It takes time for our bodies to heal! I am telling others and I am buying a bag for myself. Thank you! 5.0 out of 5 starsLove these Ancient Minerals Bath Flakes. I wish they came in a 20 lb. 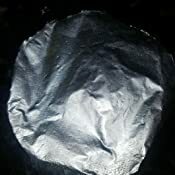 bag! 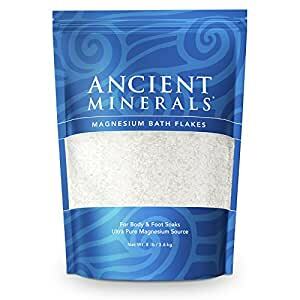 I use about 2 cups of Ancient Minerals magnesium bath flakes in my daily bath. I used to shower everyday and only take an occasional bath, but since using this, I can't stand to go a day without it. I swear I sleep better and have a general "good" feeling all day. My skin and hair have dramatically improved. I used to have dry cracking heels, that never seemed to go away...completely gone now. I will never be without these flakes. Excellent for anxiety, depression, insomnia, and skin issues such as acne and eczema. I was able to experience much improved quality of sleep. Also it increased my ability to relax during meditation, another of my relaxation techniques. 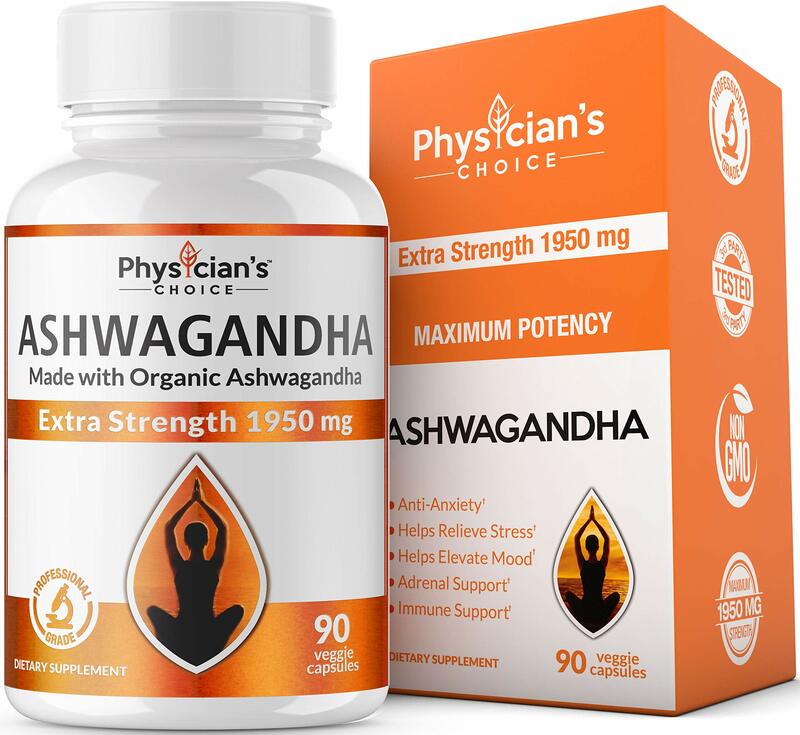 I recommend trying it since many people don't realize the important role of magnesium and that many people have a deficiency that is not detected effectively by blood tests. The best absorption is thru the skin rather than orally. Bath flakes work in this way. Ancient minerals zechstein bath flakes is the gold standard. 5.0 out of 5 starsI won’t ever be without this product, I’ve tried. I not only love this product, I have come to DEPEND on it. I GET A BAG a month. I tried doing without and other brands. Magnesium CHLORIDE is MUCH more absorbable through the skin. I am PROOF. A lack of Magnesium is endemic. Even with a well balanced diet. I don’t seem to be able to absorb enough with ORAL supplements. I work hard and have some old injuries that get inflamed every so often, and it leads to shoulder/ neck muscle cramps that I used to have to take muscle relaxants for. Also, Sometimes the cramps I get in my feet are TERRIBLE. no drama here, just terrible. Since I’ve been taking baths in this MG chloride, which once again is MUCH MORE absorbable through the skin, I have MUCH better relief AND I sleep better. The pain isn’t relieved immediately but the next morning I am better off than the morning before. 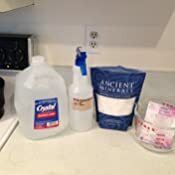 So I have tried to make MG chloride baths a part of my routine. I get back to suffering when I don’t. 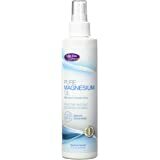 I now, also, make Magnesium “oil” to spray on my skin after a shower and on my feet at night. The “oil” is just a dilution of this MG chloride with distilled water. (vs MG sulfate which is epsom salt). I put the dilution into a glass spray bottle that I sterilize in the microwave. Then it lasts a month or so. It’s not as good as taking a full 20min bath q day, but who can do that? 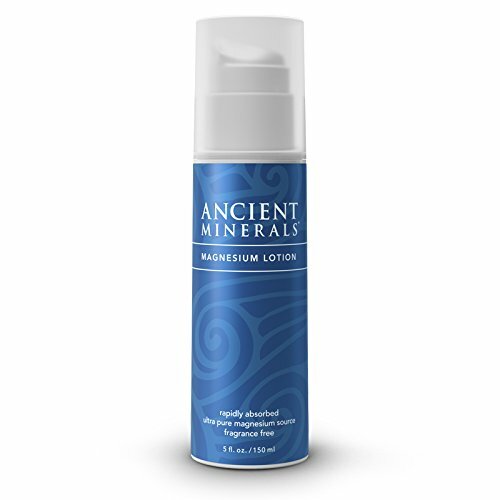 This ancient minerals product is pure and the only one I would ever use. I have gifted this to so many people now, I might need to see if I can get sponsorship credit !!!!! As a nurse practitioner, I learned Magnesium is “the soother of nerves” and it is my friend. And the BEST thing is it has I high margin of safety. Soak away. This product IS WORTH IT !! !